Bret Sergeant Hart better is known as Bret Hart, is a Canadian-American retired wrestler, writer, and actor. A member of the Hart wrestling family and a second-generation wrestler, he has been credited with a changing the perception of mainstream North-American professional wrestling in the early 1990s by bringing the technical in-ring performance of the fore. What is Bret Hart Famous for? A Canadian-American retired professional wrestler, amateur wrestler, writer, and actor. Where is Bret Hart from? 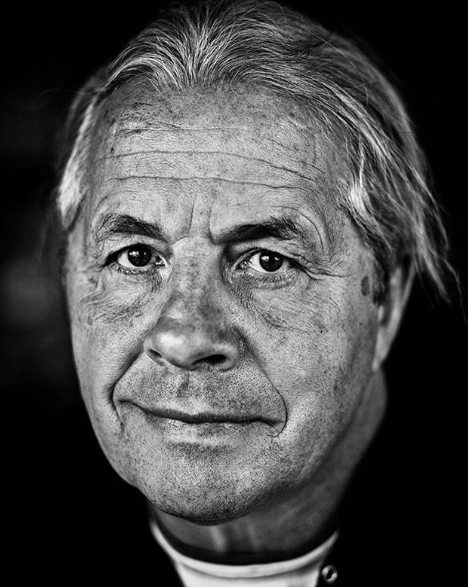 A native of Calgary, Alberta, Canada, Bret Hart was born to wrestler Stu Hart and his wife, Helen. His star sign is Capricorn. Talking about his nationality, he is Canadian and later acquired an American nationality too, since his mother was born in New York. Furthermore, he is of Irish descent through his maternal grandfather and Greek through his maternal grandmother. Hart grew up in a big family of eleven siblings, seven brothers Smith, Bruce, Keith, Wayne, Dean, Ross, and Owen, as well as four sisters, Ellie, Georgia, Alison, and Diana. His grounding to wrestling came at a tender age. As a child, he saw his father training future wrestlers like Billy Graham in the Dungeon, his household basement which served as a training room. Prior to school, his father had his hand out fliers to local wrestling shows. When Hart was four years old, he had his first work in wrestling involved pulling out lucky numbers out of a metal box during intermission at the Stampede Wrestling shows. When he got slightly older he would sell programs to the shows, something all his seven brothers would do. Regarding his education, Bret Hart is a proud graduate of Mount Royal University. When did Bret Hart pursue his wrestling career? In 1996, Hart joined his father Stu Hart's promotion Stampede Wrestling as a referee. Further, he made his in-ring debut later two years. He earned championship success throughout the 1980s and 1990s in the World Wrestling Federation (WWF) now World Wrestling Entertainment (WWE). There, he also helmed The Hart Foundation stable. In November 1997, Hart left WWE for World Championship Wrestling (WCW) following the controversial "Montreal Screwjob". At WCW, he remained until October 2000. In October 2000, Hart officially retired from WCW, having been inactive from in-ring competition since January 2000, owing to a December 1999 concussion. Hart made his comeback to wrestling world landing to sporadic in-ring competition from 2010-2011 with WWE, where he won his final championship, headlined the 2010 SummerSlam event and worked as the general manager of Raw. On April 6, 2019, Hart became a two-time WWE Hall of Famer when he was inducted as a member of The Hart Foundation alongside Jim Neidhart. During Hart's speech, a fan charged into the ring and tackled Hart and his niece Natalya to the ground, but they were quickly saved by countless wrestlers and security, and after several minutes, Hart continued his speech. WWE later released a statement saying that the attacker was sent to the local authorities. Throughout his career, Hart headlined WrestleMania IX, X, and XII. Not only this, but he has also participated in the main event of Starrcade 1997 and 1999, as a special enforcer and referee in the former. Apart from the wrestling, Hart has appeared in numerous films and television shows including The Simpsons as well as featuring in several documentaries. Moreover, he has spent much of his time on charitable efforts concerning stroke recovery and cancer awareness since his personal experiences with the two. Who is Bret Hart married to? 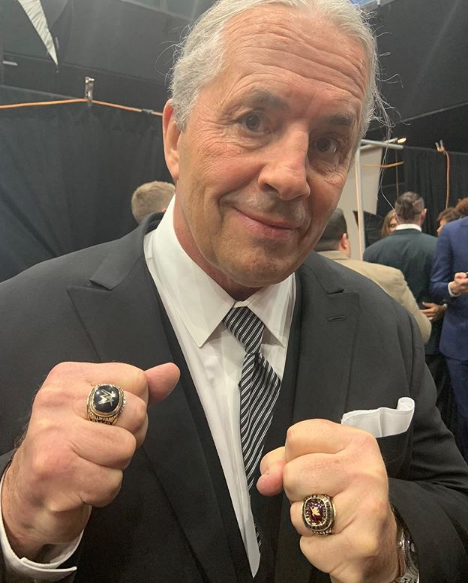 Bret Hart has married thrice in his entire life. He first tied the knot with Julie Smadu on 25th March 1960. The couple welcomed their first child, Jade Michelle on 31st March 1983. The following year on 11th August, their second child Dallas Jeffery was born. Similarly, they had their third child, Alexandra Sabina Hart and 4th child, Blade Colton Hart on 17th May 1988 and 5th June 1990 respectively. What's more, the four hearts on the right thigh of his tights signify his children, as do the four dots following his signature. Unfortunately, Bret and Julie parted ways in May 1998. However, they had several brief reunions over the next 4 years. On June 24, 2002, the couple finally divorced just hours before Hart suffered his stroke. Later two years on 15th September, Hart married an Italian woman named Cinzia Rota. Nevertheless, the two could not carry their marital affair well and ended divorcing in 2007 after failing to agree on where they should live. On July 24, 2010, he exchanged the wedding vows with Stephanie Washington. 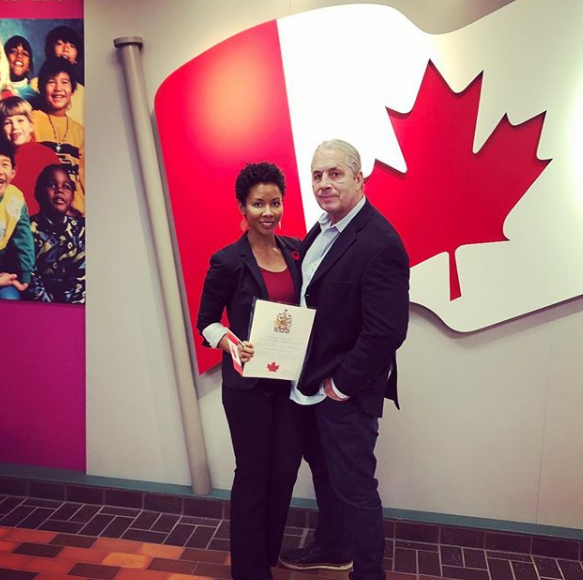 Bret's third and current spouse, Stephanie Washington is originally from San Francisco who graduated with a B.A in history from San Francisco State University in 2005 as well as holds a BA in criminal justice from Mount Royal College in 2013. Besides, Hart's father, Stu Hart, died on 16th October 2003, aged 88. 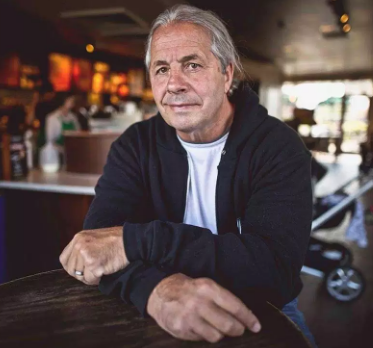 As of 2019, Bret Hart has an estimated net worth somewhere around $14 million. Most of the wealth is generated through his wrestling career. Also, he earns much as an actor and a writer. Furthermore, he is the founder and part owner of the Calgary Hitmen of the Western Hockey League, which definitely adds decent value to his net worth. According to the source of 1995, he made $9 million as salary from WCW Monday Nitro. Additionally, he pocketed $2,500,000 from his three-year contract with WCW in 1997. Also, he took home $4000 and $15,000 from WrestleMania 2 & III in 1986 and 1987 respectively. In 1989, he earned $10000 as a salary from Summerslam. How tall is Bret Hart? Observing his body statistics, Bret Hart is 6 feet 1 inch. in height. Though retired from professional wrestling, he still sports a relatively trim physique. The sexagenarian maintains a body weight of 107 kg (235 lb). His other body information was not disclosed yet. In the case of disclosed, we will let you know. He is the first wrestler to capture all six major wrestling titles from the big two federations (WWF Tag Team, Intercontinental and World titles, Wcw Tag Team, US and World Titles). He has a worldwide fan base. He has wrestled in Germany, U.K, France, and much of Asia, including Hong Kong and Japan. He retired from active wrestling on October 26, 2000, just days after being released from WCW due to inactivity caused by a severe concussion that had prevented him from wrestling for several months. As a child, he once broke the record for selling programs at the Calgary Stampede Fairgrounds when he sold more than 1,000 programs in one day. In his 20+ year wrestling career, never injured another wrestler.